Despite the employees expressing their concerns about development opportunities last year, the 2016 Emerging Workforce® Study (EWS) commissioned by Spherion Staffing reveal that employees are still unhappy about the development opportunities their companies provide. In fact, this year’s study – conducted online by Research Now among 416 U.S. HR managers and 2810 employed U.S. adults above 18 – found that while nearly half (45%) of companies said investment in training and development programmes have increased during the last two years, efforts, only 14% of employees would give their company’s training and development programmes an “A” grade. The study also found that nearly one-third (32%) of workers believed their current skills will prevent them from earning a promotion while 35% were concerned about falling behind in acquiring the new skills required to succeed in more advanced future positions – and they hold their companies responsible for this lack of progress. Nearly one in three (32%) did not feel their company has provided adequate skills training. Furthermore, 40% found it difficult to devote time to pursuing skills development opportunities. So what makes these workers so discontent? According to the 2016 EWS, this dissatisfaction stems from perceptions that training programmes offered by their companies are irrelevant. Almost half (45%) of workers thought that company-provided development programmes were not applicable to their day-to-day job needs. “Employees who believe their workplace does not provide relevant and practical skills development tools are more likely either to become unmotivated to seek growth opportunities or look elsewhere for positions more suitable to their abilities and training needs,” said Sandy Mazur, Spherion division president. “Either outcome is detrimental to long-term business success, and as our Emerging Workforce® Study found, both businesses and workers are taking a dangerous risk by ignoring these skills development disconnects,” she added. 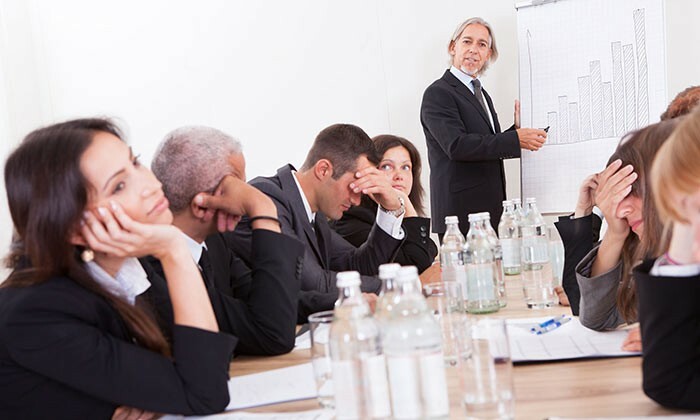 Additionally, employees today workers seemed to lack trust in their organisation’s ability to provide valuable direct training – 34% considered third-party experts and 23% thought online training and certification courses were more credible educators. On the bright side, the survey noted that employers and employees appeared to agree on the main skills required for future success. Both parties indicated that skills including problem solving, strategic thinking and the ability to understand and interpret data were crucial for future success. “Closing the skills gap is the responsibility of both employers and employees, and better communication can help eliminate some of the disconnects that have prevented progress,” said Mazur. L&D experts are also set to be popular this year, as local firms focus on developing high potential talent into management positio..
Is this what you really mean when you tell your team “to chill”? Whether it is to diffuse a stressful situation or striking a work-life balance, 8 leaders weigh in on what they say versus what th.. This week’s viral video of an employee allegedly being assaulted by his boss has got us thinking about other lines a boss should n..